Fallout 76 review: What's all the fuss about? Fallout 76 lacks the compelling and complex narrative needed to appeal to many of today's gamers. It's a departure for the series – and not in a good way. During the introduction to Fallout 3, Ron Perlman utters the words of Wisdom: "War, war never changes." But the problem with Fallout 76 is that it hasn't changed enough to succeed as an online multiplayer game. Those of us who remember the isometric titles have a broad overview of the Fallout franchise. And as we wait for Fallout 5, 76's multiplayer foray into post-apocalyptic West Virginia has stirred up the radioactive dust by not meeting many loyal veterans' expectations. Fallout has always been one of the most enjoyable open-world role-playing video games. Narratives filled with engaging and compelling characters to meet; emergent stories that unfold; the freedom to walk away and cut one's own path through the wasteland. In Fallout 4 we awoke as the sole survivor of our Vault, haunted by nightmares of our spouse being murdered. The tale unfolded as we proceeded to search for our son and our place in the world amongst the factions whose storylines constantly competed for our attention. 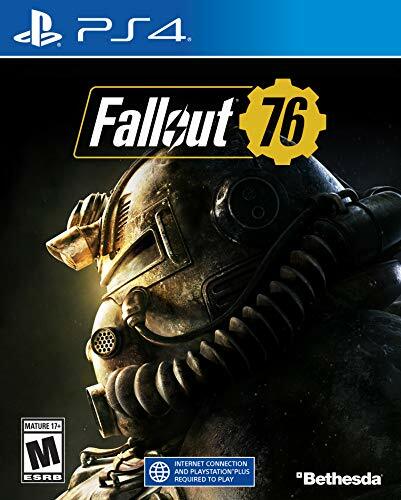 Fallout 76 is a prequel to the entire Fallout franchise. The character you create – seemingly lifted directly from Fallout 4, as you can tweak facial features, hair, body size and gender – is ushered into daylight in 2102, roughly 20 years after nuclear warheads ravaged the world in the Great War. As you awaken in the depths of Vault 76 surrounded by the leftovers of what looks like an epic party, there's no one about to share your hangover. You are guided towards the exit and outside world by Mr. Handy robots, which offer gadgets, tools and anti-rad to support your fumbling first foray outside. There's little player agency apparent in this introduction and the same could be said of the main narrative. Even with an ending that wee won't spoil for you, we didn't feel like we had a stake in this new world. However, there's plenty in the way of exploration and side quests to keep you busy, in addition to stumbling across a world event or two. The shining linoleum surfaces of the Vault are soon replaced by an almost peaceful autumnal region known as The Forest. Beyond this are five other regions: The Savage Divide; The Mire; Toxic Valley; Ash Heap; and the deceivingly safe-sounding Cranberry Bog. Each region feels distinct from the others, but it's a shame that the new base building system (C.A.M.P) feels like such a chore. Building our house in a radioactive cloud at several points we hoped that residing there would just put us out of our misery. The game's narrative is dependent on 'Holotapes' and hand-written notes, as we witness the lives people led by retracing their steps. As ever in Fallout there's a lot of stuff to collect to build a stash for crafting and selling. It's all this detritus and breaking down already modded amour that allows for gear upgrades – but there were plenty of times we would have swapped it all for some food and water. Something we found appealing is how stats are now handled as Perk Cards. These make players pick and choose between randomised sets of cards as they level-up, but can still be experimented with to create different builds for different situations. If you find yourself in a situation where you need to focus on a skill, like stealth, then you can put in cards that increase your Perception and Agility. Playing on PC and Fallout 76 runs like a Mod. Unfortunately the radiated cockroaches are not the biggest bugs in this game. That said these sliding Ghouls, glitches and server crashes were nowhere near as infuriating as losing 10 hours in Pokemon Let's Go. We have fond memories of battling familiar hoards of Super Mutants in Fallout 4, but combat in 76 feels dated. We aren't fans of the V.A.T.S targeting system at the best of times and now with added bugs it's anything but helpful and efficient. To add to our frustration now there are many weapons that are restricted by level so that Level 18 rifle that slowing you down you can't even use yet, so you won't be blowing the heads off rabid possums dragging metal fences any time soon. Sometimes being overpowered is half the fun – especially when there are Appalachia scorchbeasts on the prowl. Fallout 76 shows some refinement to older systems that make playing alongside friends a really good time – such as trading for better gear and shelters – but it's at the cost of a balanced single-player experience. If you're scared you won't have friends for long if you suggest that they fork over their cash for Fallout 76 then we'd suggest investing in a pre-order copy of the board game Wasteland Warfare by Modiphius games instead. This was supposed to be a new dawn for Fallout, but the multiplayer isn't strong enough to support a game with such a dated engine and too many technical issues that aren't getting fixed fast enough.